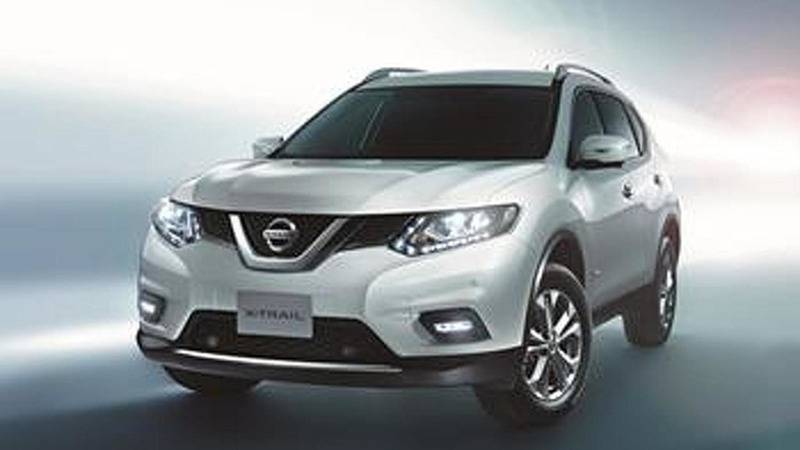 Nissan is introducing a hybrid version of the X-Trail crossover in Japan which will effectively go on sale May 13. It looks virtually the same as the regular model but comes with vertical LED fog lights and "pure drive hybrid" badges while the central display between the two instrument gauges now shows typical hybrid information. 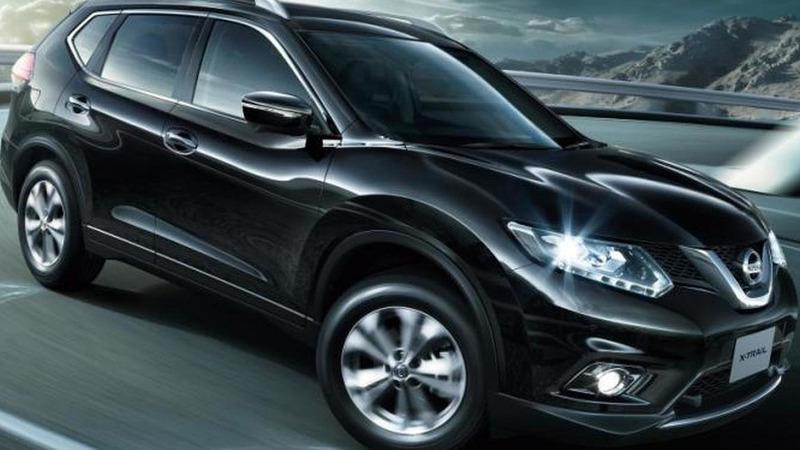 The X-Trail Hybrid uses a four-cylinder, 2.0-liter engine combined with an electric motor, a lithium-ion battery pack and an XTRONIC transmission. The conventional engine delivers 147 HP (108 kW) at 6,000 rpm and 207 Nm (153 lb-ft) of torque at 4,400 rpm while the electric motor generates 41 HP (30 kW) and an instant torque of 160 Nm (118 lb-ft). Compared to a regular X-Trail, the Hybrid model has 75% fewer NOx and NMHC (non-methane hydrocarbons) emissions and has a fuel consumption of 20.6 km/L (48.4 mpg US or 4.8 liters / 100 km) in the JC08 cycle. It comes as standard with a Forward Emergency Braking system which will be offered on all JDM-spec Nissan models starting this fall. Other changes compared to a regular X-Trail include a regenerative braking system, aerodynamically-optimized floor and low-rolling resistance tires to cut fuel consumption even further. Prices kick off at 2,804,760 JPY (about $23,400) for the two-wheel drive version and rise to 3,240,000 JPY (about $27,000) for the 4WD model in Black Xtreamer-X guise.